WordPress has a featured image option implemented by default. 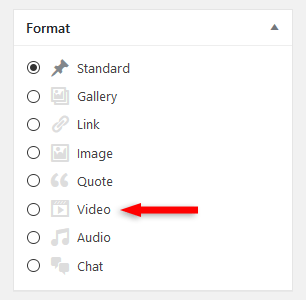 But what if you want to add a featured video to your WordPress posts instead? Is that possible? Yes, it is, and I’ll show you how to do it via your theme (if available) or a plugin that’s not outdated (yet)! 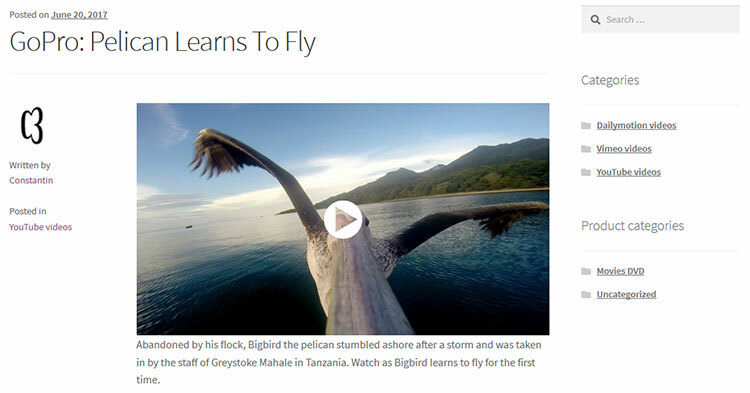 Nowadays, more and more WordPress themes allow you to add a featured video to your posts. So, the first thing you should do is to check if your theme supports a video format for posts. Usually, you can see this in the post’s editing area, on the right side. Here’s how it looks like on Avada (affiliate link), which is the theme I’m using. This allows me to embed a video from Vimeo or YouTube (in my theme’s case), and add it as a featured video, as you can see in this post, for example. As you might have noticed, Avada offers several different types of post formats, not just video. If your theme doesn’t provide such an option, check the alternative below. 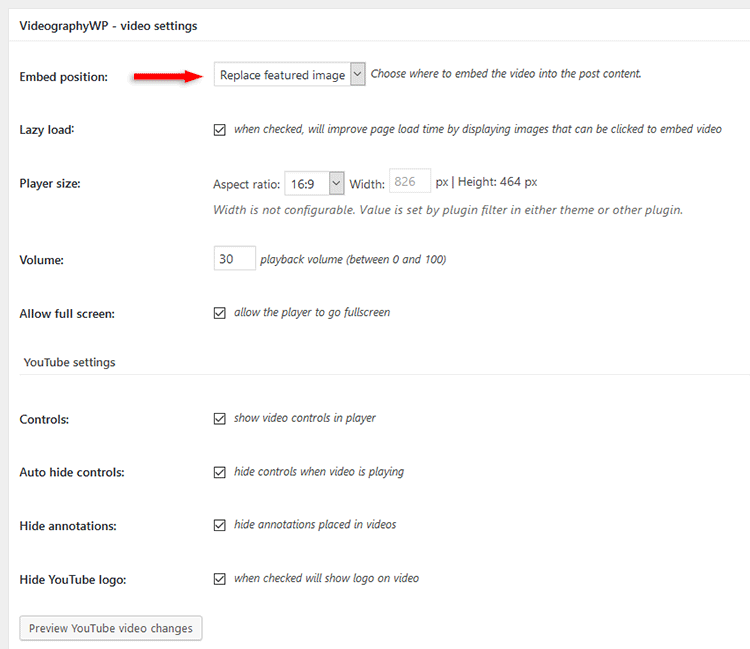 The plugin is called VideographyWP, and at the time I’m writing this tutorial, it’s most likely the only plugin dedicated to adding featured videos to your WordPress articles. There’s one more that you might have bumped into in many other posts, but it’s seriously outdated, thus unreliable and not recommended! I’ve also searched for a plugin on CodeCanyon (affiliate link), which is a pretty big marketplace, but surprisingly, I haven’t found any. I mean, there were a couple, but they were offering a ton of other extra features, and it’s not practical to install a plugin packed with features if you just need one or two. Now, let’s take a look at the VideographyWP plugin. It works for Vimeo, Dailymotion (only on Pro version), and YouTube videos. After you install the plugin, you can check its settings by going to Settings -> VideographyWP Lite (since it’s the free version). What some of you might find annoying is that you’ll have to create a YouTube API key in order to embed videos. The developers added a link with a detailed tutorial on how to do that, so it will make things easier. After installing and setting up VideographyWP, in your posts, on the right side, you’ll see a query video box. 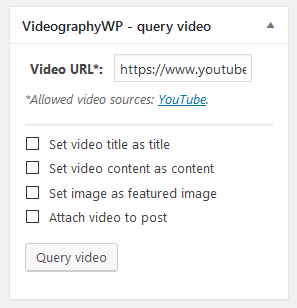 Add a Video URL, check whatever options you wish to implement, then click on the Query video button. Scroll down and you’ll see other video settings, depending on the platform. Make sure you select Replace featured image at the Embed position setting to have a featured video displayed for your WordPress post. 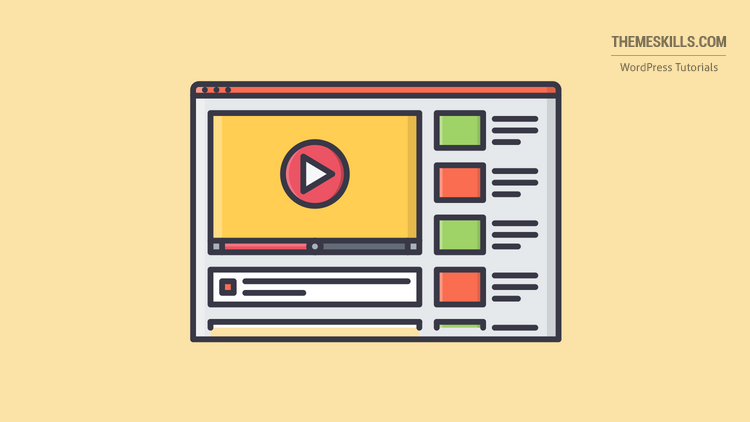 It might not seem like an embedded YouTube video, but that’s just the lazy load feature in action, which adds the video’s thumbnail and only starts to load the video after the user clicks on it, therefore improving your post’s loading time. For this example, the title, content, and featured thumbnail were automatically embedded by the plugin. So, basically, you can create a post just by just adding a video link. I don’t think it’s a good idea when it comes to duplicate content, though, but that’s up to you. The developers have also set up a demo system. You can log in to WordPress there and check things out. If you want to add Vimeo and Dailymotion videos too, you need to go Pro. The Pro version offers other cool stuff, like adding a featured video for WooCommerce products. It’s a pretty neat plugin, no? Let me know in the comments if you’re planning on using it. The tutorial link links to a completely different tutorial. I used that tutorial as an example, so you can see how a post with a featured video looks like. To make it more clear that that’s just an example post, I rephrased. Hopefully, it will clear the confusion. Feature Video Plus is outdated. There’s no update for more than two years. Not recommended. Yep, that’s what I mentioned in the post myself. The main plugin, VideographyWP, is still updated and good to go. I don’t see how it’s not a solution since the plugin does what’s stated in the topic. It might not work for your website, but that’s your site’s problem, not the plugin’s or the post’s. And you don’t need to click on the affiliate links, which I happen to disclose. You probably click on 500 affiliate links per day but you don’t know it. The VideographyWP plugin is free from the WordPress plugin repository. That link is not affiliated. I also recommend you to read this article, which will definitely not be a waste of time in your case. Is there a way to use a video uploaded in the media library, rather than a youtube/vimeo video? Unless a plugin – and I’m not aware of one – or your theme has such a feature, no. Of course, with custom coding you can add that, but you’ll need a web developer.